Tampa Judge Catherine Catlin and Attorney Adam B. Cordover discuss Hillsborough County’s Collaborative Family Practice Administrative Order. Photo courtesy of Joryn Jenkins. On March 22, 2013, Tampa Bay attorney Adam B. Cordover led a discussion, along with Tampa Family Law Associate Administrative Judge Catherine M. Catlin, on Hillsborough County’s Collaborative Family Practice Law Administrative Order. 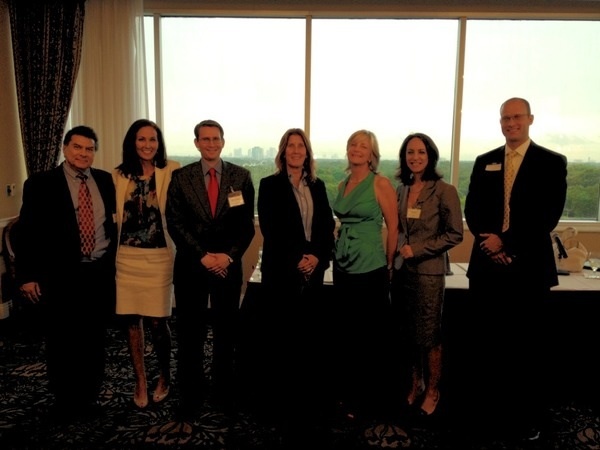 The panel took place at the 2013 Interdisciplinary Family Collaborative Practice Training, co-sponsored by the Collaborative Divorce Institute of Tampa Bay and the Tampa Bay Collaborative Divorce Group. Over 70 attorneys, mediators, financial professionals, and mental health professionals from throughout Florida and as far away as Pennsylvania and Texas were in attendance. Collaborative family law is a process that takes private issues such as divorce and child custody out of the public courtroom and into secure and confidential offices of professionals. Once a collaborative participation agreement is signed, attorneys dedicate themselves solely to achieving an agreement acceptable to both parties rather than preparing for court battles. The Collaborative facilitator helps the parties focus on the future of the family and children rather than the demons of the past, while a financial professional develops personalized options for the division of assets and debts and the family’s financial security. The administrative order ensured that the Thirteenth Judicial Circuit in and for Hillsborough County encouraged and recognized the use of the collaborative process and permitted divorce and family law cases that had already been filed in the court system to convert to collaborative cases. If you have questions on how a Tampa Bay collaborative process can help your family law matter, schedule a consultation with a Florida collaborative attorney by calling The Law Firm of Adam B. Cordover, P.A., at (813) 443-0615 or filling out our contact form. Adam B. Cordover serves as Vice President of the Collaborative Divorce Institute of Tampa Bay and is a member of the International Academy of Collaborative Professionals. Adam served on the taskforce that drafted the Hillsborough County collaborative family practice administrative order. When you file a family law case in a Tampa Bay court that involves children (such as divorce, paternity, or modification of a parenting plan), you will get a standing notice or order which prescribes how parents should treat one another and their children. 1.1. Contact with both parents is generally in the children’s best interests. Children are entitled to “frequent and continuing contact with both parents when the parents separate or divorce” as a matter of law. 1.2 The “primary residential parent” has an “affirmative obligation to encourage and nurture a relationship between the children and the alternate residential parent.” A parent who restricts access of the children to the other parent and who does not encourage a relationship between the children and the other parent, perhaps should not be designated the “primary residential parent, ” as this is not acting in the children’s best interests and is not following the law. 1.3. In nearly all cases, the court orders “shared parental responsibility” of the children, which means co-parenting. The parents must confer with each other and agree on parenting decisions. Both parents must participate in all parenting decisions and work out their time sharing schedules. If the parents cannot agree on any issue, then the court will decide. “They call it Collaborative Divorce. It’s apparently all the rage right now.” Jason Bateman’s character spoke these lines in the 2007 hit Juno, and now the practice has come to Tampa. On July 31, 2012, Chief Judge Manuel Menendez, Jr., of the Thirteenth Judicial Circuit of Florida signed an administrative order regulating collaborative family law practice in Hillsborough County. The administrative order is just the fourth such order in the State of Florida. The other circuits regulated by a collaborative family law administrative order are the Ninth Circuit (Orlando and Osceola Counties), the Eleventh Circuit (Miami-Dade County), and the Eighteenth Circuit (Brevard County). According to Attorney Adam B. Cordover, “Hillsborough County’s collaborative law administrative order will bring more public awareness and certainty to this new and revolutionary form of family law practice.” Adam is a member of the task force that drafted and proposed the order and is also on the Executive Board of the Collaborative Divorce Institute of Tampa Bay, which promotes collaborative practice for divorce and all other types of family law matters. Collaborative practice (which is variously referred to as collaborative divorce, collaborative law, collaborative model, or collaborative process) is a relatively new form of alternative dispute resolution which takes divorce and other family law cases out of the public courtroom and into a private office. Each party hires a collaboratively trained attorney and agrees from the very beginning to resolve personal and financial disputes without having a judge decide the outcome. A neutral facilitator (who is often a trained mediator, psychologist, or other licensed mental health professional) is brought on board to ensure that discussions focus on the future of the family unit rather than the arguments of the past. Additionally, the facilitator will ensure that discussions center around the interests of the parties (for example, “our child should go to a good school”) rather than on positions of the parties (for example, “our child must go to this particular school, or else…”). A neutral accountant or other financial advisor may be brought on board when there are homes, businesses, mutual funds, or other assets that need to be divided. The financial advisor will also come up with creative solutions for debt division, child support, and ongoing needs of the spouses. According to financial professional David Harper, CPA, ABV, PFS, CFF, CBA, “Studies show that financial disputes are consistently the number one reason for divorce. The collaborative divorce process promotes the honest exchange of all pertinent financial information so that each spouse has a comprehensive understanding of the financial aspects involved. Because of this, the collaborative process often results in a settlement involving less money, less time, and less of an emotional toll on the spouses and their children than the traditional litigation process.” Harper is an Executive Board member of the Collaborative Divorce Institute of Tampa Bay and devotes nearly his entire practice to providing sound financial advice to families in the midst of divorce. Collaborative practice has been gaining steam as a more sensible approach to divorce, and even celebrities are catching on. Famous individuals who have utilized the collaborative process include Madonna, Robin Williams, and Cameron Crowe. One of the lynchpins of collaborative practice is that, if the parties are unable to settle their differences and insist on going to court, their attorneys must withdraw, and new counsel may be retained. Attorney Beth Reineke believes “This means divorcing parties are more committed to the settlement process and less likely to choose litigation if the road gets bumpy during negotiations.” Reineke is a board certified emeritus family lawyer who has chosen not to litigate. As president of the Collaborative Divorce Institute of Tampa Bay, she either mediates with couples pre-suit or collaborates with the clients she represents. More information on collaborative family law practice can be obtained from the Collaborative Divorce Institute’s website at http://www.CollaborativeDivorceTampaBay.com. The Florida Supreme Court recognized that family cases needed “a system that provided nonadversarial alternatives and flexibility of alternatives; a system that preserved rather than destroyed family relationships;…and a system that facilitated the process chosen by the parties.” In re Report of the Family Law Steering Committee, 749 So. 2d 518, 523 (Fla. 2001). The Florida Supreme Court’s acceptance of recommendations for a model family court is consistent with the principles of the collaborative practice model because the collaborative process empowers parties to make their own decisions guided and assisted by counsel in a setting outside of court. The Thirteenth Judicial Circuit supports the philosophy that the interdisciplinary collaborative model may be a suitable alternative to full scale adversarial litigation in family law cases if the parties agree to such a model. Hillsborough County’s Thirteenth Judicial Circuit has posted its administrative plans for operations during the Republican National Convention. Although essential court services will be available at other locations, there will be no hearings, trials, or other court events from August 27 to August 31 at the George Edgecomb Courthouse, located at 800 East Twiggs Street, Tampa, Florida 33602. If you are involved in a Florida divorce or other family law matter and you are seeking to speak with a Tampa Bay family law attorney, contact The Law Firm of Adam B. Cordover, P.A., at (813) 443-0615 or through our online form. 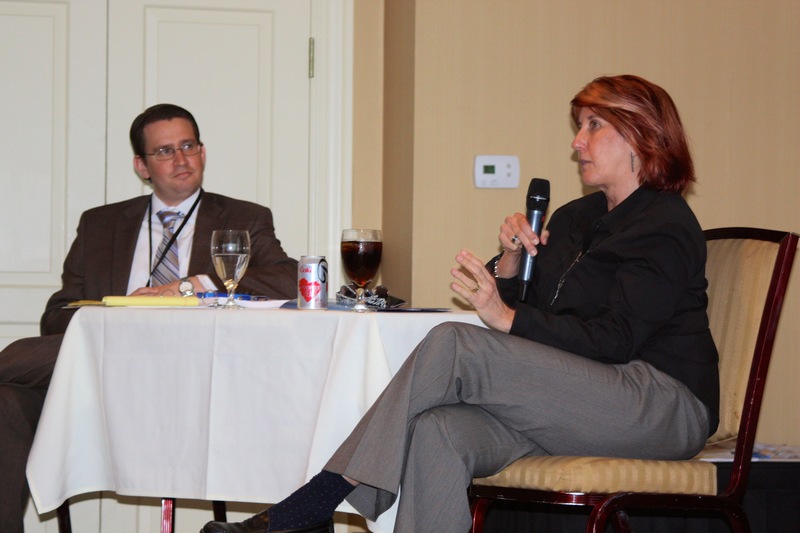 Judge Catherine M. Catlin, Associate Administrative Judge of the Thirteenth Judicial Circuit’s Domestic Relations Division, recently lead a round table discussion sponsored by the Collaborative Divorce Institute of Tampa Bay (“CDITB”). Judge Catlin relayed, among other things, that she encourages clients to participate in private alternative dispute resolution methods such as collaborative practice. Collaborative practice (also known as collaborative family law, collaborative process, and collaborative divorce) is a method of resolving disputes where the parties agree that they are not going to bring their case in front of a judge to decide issues of custody, division of assets, etc. Instead, they hire trained collaborative attorneys committed to reach a settlement. A neutral facilitator or mental health professional is retained to move the process forward and keep the parties focused on the future of the family and children rather than on the arguments of the past. A neutral financial expert is often brought on board to develop settlement options that make sense for the family’s financial well-being. Division Y (Title IV-D Child Support Enforcement) – The Honorable Herbert M. Berkowitz. We welcome Judge Nazaretian and Judge Berkowitz to the Family Law community. money is saved on paper and postage; space is saved from bulky file cabinets; trees are saved from being cut down; and time is saved by quick transmittal of documents via e-mail. This usually also translates to savings for the customer or client. In 2009, the Florida Legislature enacted Chapter 2009-61, Laws of Florida, mandating that the Supreme Court of Florida create statewide standards for electronic filing of court documents. Governor Charlie Crist signed the bill into law. On July 1 of that year, the Florida Supreme Court responded with Supreme Court Administrative Order 09-30, which outlined the first set of statewide standards for electronic filing of court documents. One of the standards required that a portal be created through which electronically filed court documents could be sent. The standards are outlined for all 67 Clerks of Court in the State of Florida to follow to implement electronic filing of court documents.